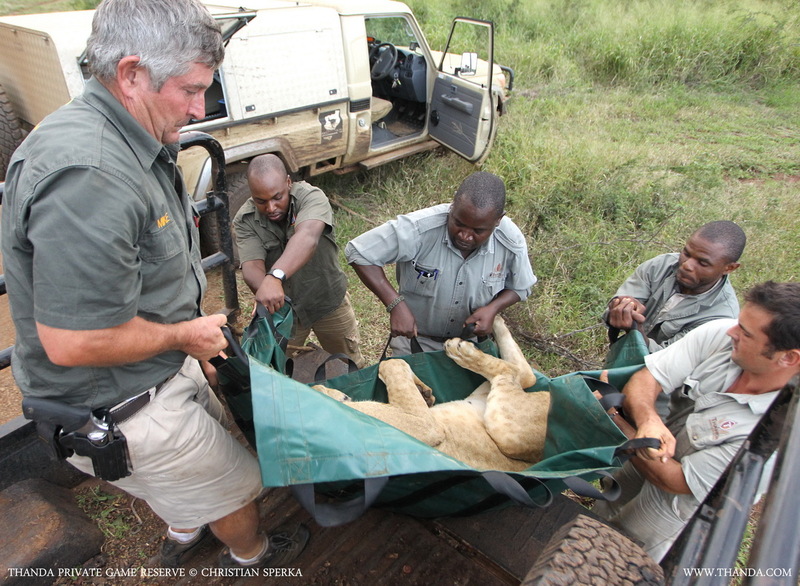 A new home for two Thanda Lionesses! Currently Thanda has a lot of Lions, so we are glad we found a new home for two of our young Lionesses – in a game reserve further north in KwaZulu Natal. Yesterday evening, just as sun started setting, Mike Toft, the veterinarian in charge of the Lion capture, did manage to dart both Lionesses. 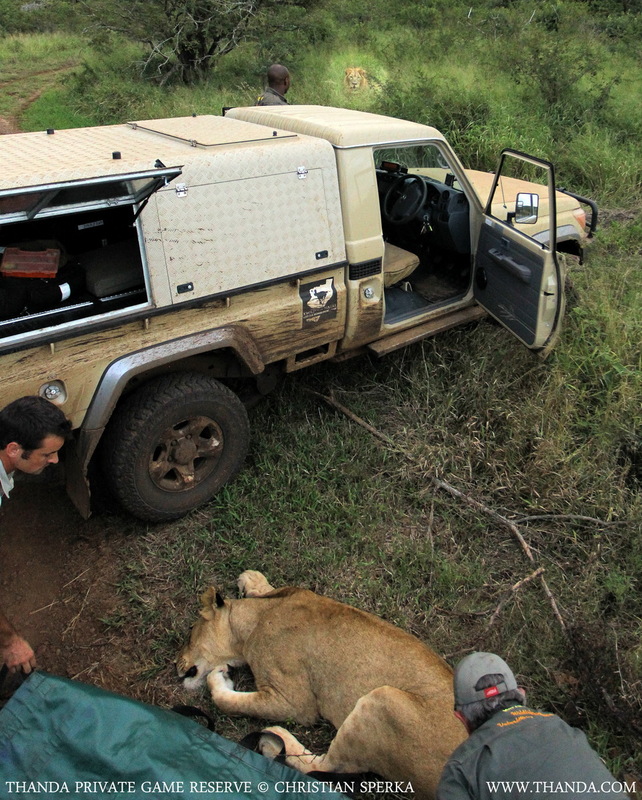 While Thanda’s dominant male was circling the scene the Thanda Wildlife Operations Team had to load both females onto a Land Cruiser to drive them to the Thanda base camp. There they were loaded in a special animal transport trailer for their ride home. A number of Thanda guests got to see the Lionesses from close up, once they were asleep and ready for their last drive on the reserve. A very special safari experience. It was a good day for Thanda and a good day for the Lions! A few seconds – This image was taken a few seconds before the dart went in. Exciting – While Thanda’s dominant male was watching (top of the image) the first of the Lionesses was being prepared for transport. Heavy – The five gentlemen had to lift a heavy load. 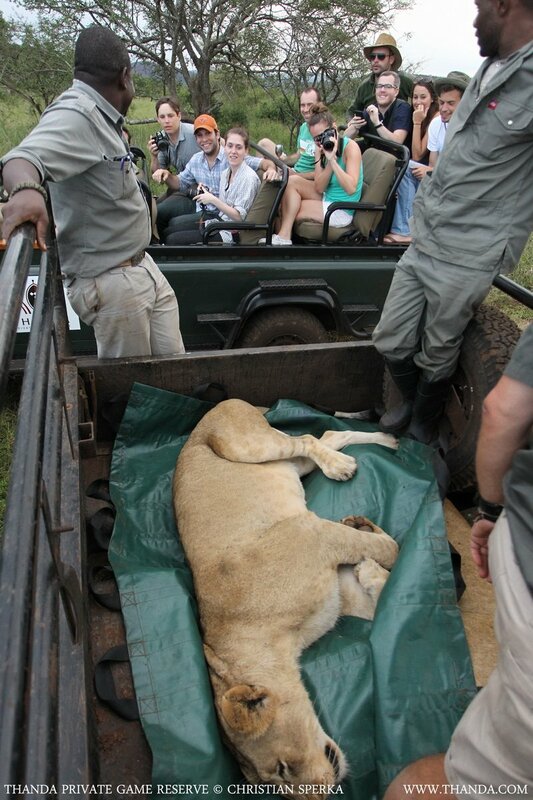 Fascinating – Thanda guests had the chance to get a close up look at Thanda Wildlife Operations. 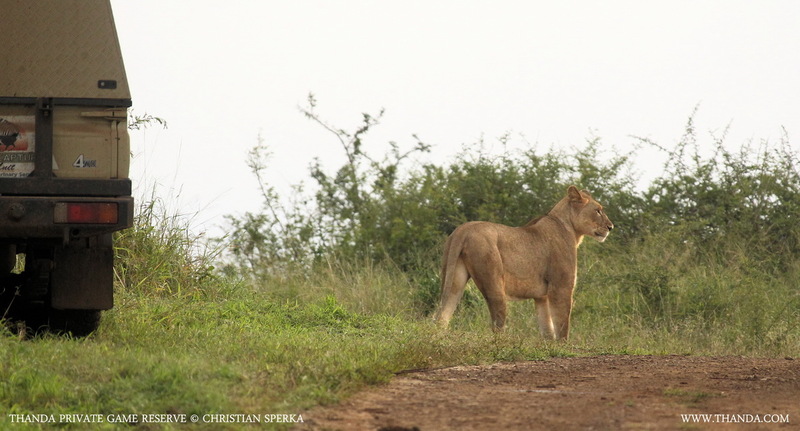 At that time both Lionesses were ready for their last drive on the reserve. 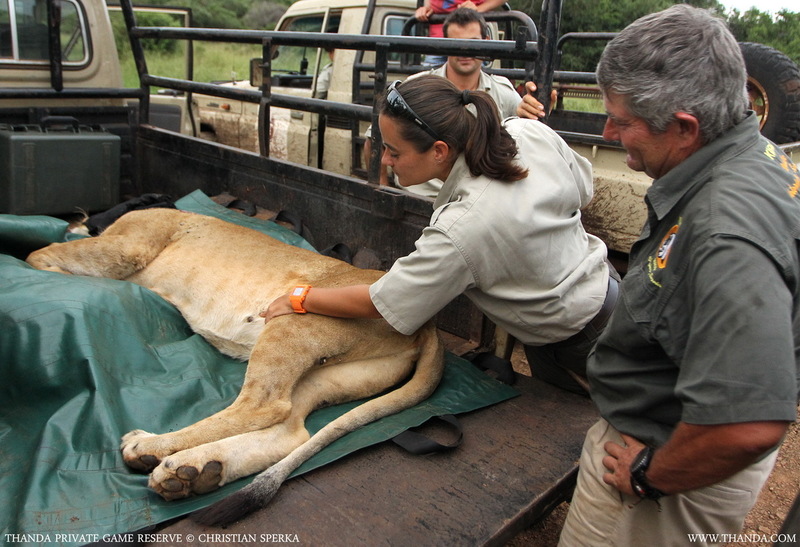 Check-up – Mariana Venter, Thanda Wildlife Operations, and Mike Toft, Veterinarian in charge of this Lion capture, having a good look at on of the two Lionesses. Before they were transferred to Base Camp they got a proper “Lion Bush Physical”! ← One of the “Small Five”!